I am usually called Vsio or NeithR. In the past, I had published Square game series, some PDF games, and I was also the programmer of Me, Wake Up! game series. I also have published game pixel assets which can be used by other game developers who need pixel game assets. 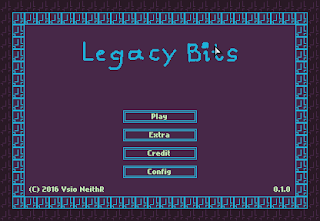 My current game project right now is Legacy Bits. The gameplay is simple, reach to the core with a simple one-button gameplay within a time limit and convert the evil machine into your control. Reaching the core earlier and/or collect all the fuel to get more orb bonuses after reaching the core. 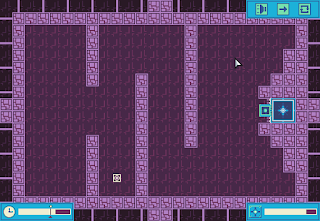 The gameplay of this game was inspired from my old game, Kissy Square. 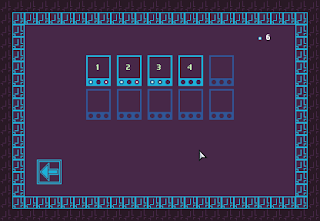 The theme was inspired from my old game, Looping Zip, which was insprited from Runny Square and also inspired me that I can further use the gameplay mechanic to make a more variation of games. This game is being made using HaxeFlixel. All the previous mentioned games were also made using HaxeFlixel. 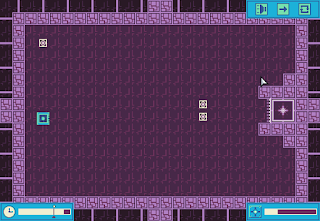 Its level designs are made using Tiled editor. What do you think of the current Legacy Bits? Let me know what you like, love, dislike, and/or hate. Also, feel free to suggest what you want to be implemented or something needs to be improved.